The Nefertiti Neck Lift is a recent innovative technique in anti-ageing, the treatment uses Botox to create definition along the jawline and neck. As we age the skin around the neck and jawline can begin to sag with ‘turkey necks’, jowls and loss of volume in the area being common occurrences. We often meet clients who are unsure of how to tackle jowls and sagging as throughout the ageing process the pull of gravity causes skin to deflate like a balloon. This causes natural facial volume to disappear, leaving behind sagging hanging skin. The Nefertiti Neck Lift was named after a very famous Egyptian queen. Nefertiti was known for her contoured jawline and smooth neck the treatment is named after her as it aims to create a similar effect. Using a series of Botox injections the Nefertiti Neck Lift smooths the neck and jawline, these injections fight the pull of gravity, improve elasticity and avert the signs of ageing. The treatment ultimately restores volume and a sense of youth to aged skin. *Upon booking this treatment online you agree that it is subject to a consultation for suitability and if payment has been made and the treatment is not suitable, then the credit can be transferred for an alternative treatment. The Nefertiti Neck Lift gives full results in almost 2-3 weeks following treatment, results last for up to 6 months, when a top up treatment would then be required. You will have an initial consultation with an Aesthetics of Liverpool practitioner where you will be able to discuss your concerns and what you are hoping to achieve from treatment. The treatment itself is non-surgical, your practitioner will administer a series of Botox injections into the jawline and platysma muscle of the neck. The Botox injections work by relaxing the muscles in the face and neck which are responsible for pulling the face downwards. As a result the opposing muscles pull the face upwards in the opposite direction creating a lifting effect. The treatment ultimately tightens skin to create a taught youthful appearance. How long does a Nefertiti Neck Lift take? We ask clients to allow up to 30 mins for treatment. What is the suitable age range for the Nefertiti Neck Lift? 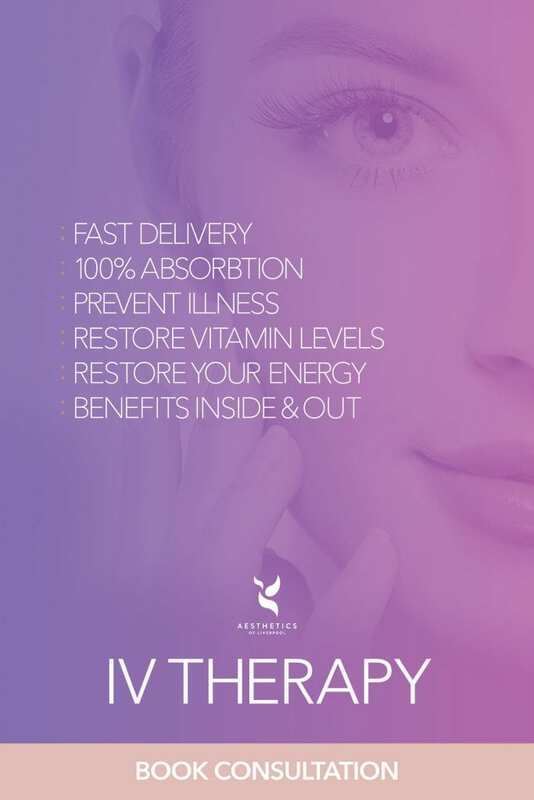 We advise new clients to allow up to 1 hour for treatment, regular clients can be treated within 30 minutes. Who can’t have a Nefertiti Neck Lift? Are allergic to any of the ingredients. Will there be any side effects after treatment? Post treatment most clients are able to resume their day to day activities immediately. However some clients do experience mild side effects such as swelling, bruising, mild redness. It is also common to feel unusual sensations on or around the treatment area, this however is completely normal as the injected muscles adjust. It is imperative that you DO NOT rub or touch the treatment area or bend over for the first 24 hours post treatment as you risk spreading the protein. Any kind of Facial, Massage, Beauty or Spa Treatment should also be avoided. This is because any touching of the treatment area risks spreading out the Botulinum Toxin. It is imperative to avoid extreme temperatures DO NOT have a baths, hot saunas or vigorous exercise as you risk sweating out the Botulinum Toxin. Avoid air travel for 48 hours post treatment is also recommended. In some cases more extensive bruising may occur, this can usually be covered up with makeup and is temporary. All clients should bare in mind that the effects of Botulinum Toxin is temporary and side effects subside after three months. In terms of results it is important to be patient. Some clients notice results after a few days however optimal results will be seen 2-3 weeks following injection. Some patients find that even after this period , if they try hard they can still move the muscles to a small extent in the treatment area. This is normal, the aim of the treatment is not to prevent you from moving the muscles in your face but reduce the number of times that your muscles contract as this is when wrinkles occur. For the highest standard of results we advise treatments to be 12-16 weeks apart, however your Aesthetics of Liverpool practitioner will discuss this is in more depth with you. How much does a Nefertiti Neck Lift cost?